I got the most popular one which is Summer Fruit! The packaging is uber cute and handy. It's quite big compared to other lip balms but it's steady because the bottom part of it is straight, therefore you can put it on your vanity table without it rolls anywhere. 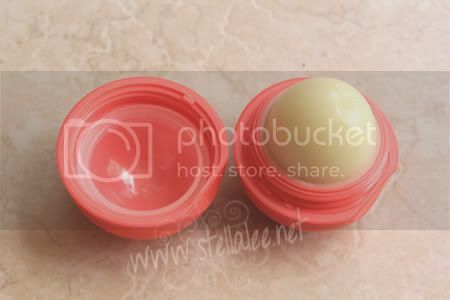 When you scent the product, it's just so sweet and make you feel like eating it coz it looks like pudding imo lol. 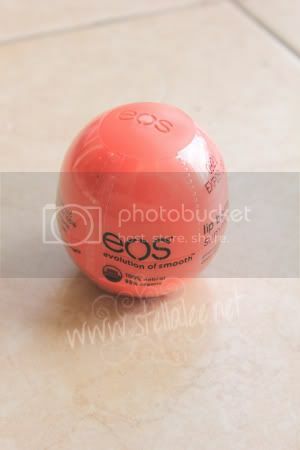 The lip balm glides easily on my lips and it gives a sweet summer fruit taste like a candy! I cant stop licking my lips because it's soooooo tasty! And it also makes my lips super smooth without being too sticky/glossy. The flavor comes in many options, You can purchase the product at BeautyofDiva for only Rp 60.000. Quite affordable and its much much cheaper than any other online stores. Try lemon for fun flavor, and If you don't like fruit, you can also get minty? Ponds Clear Balance Solution Review + Giveaway!